1. The title and/or flickr URL of the photo. 2. 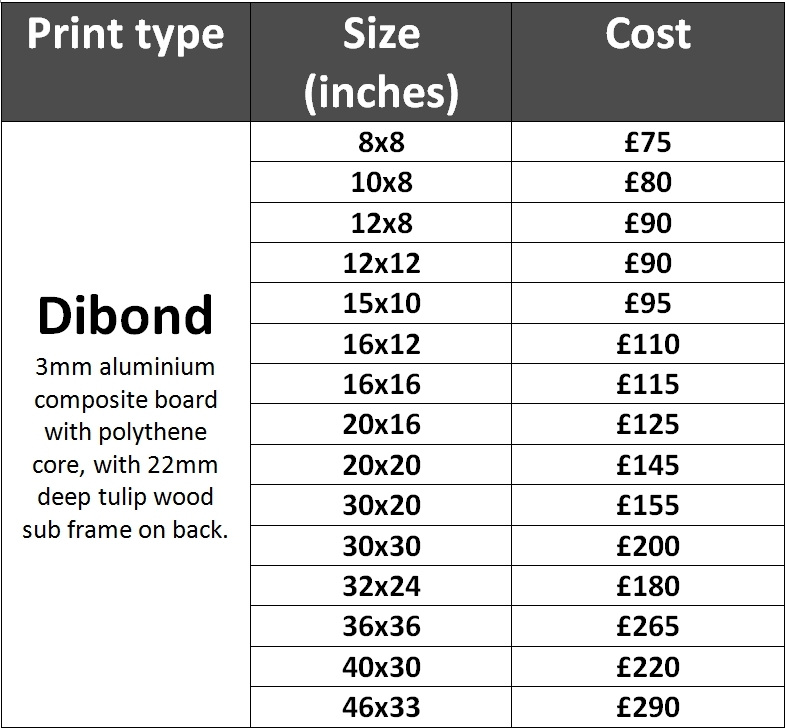 The size and type of the print you would like. 3. Any other specific requirements. 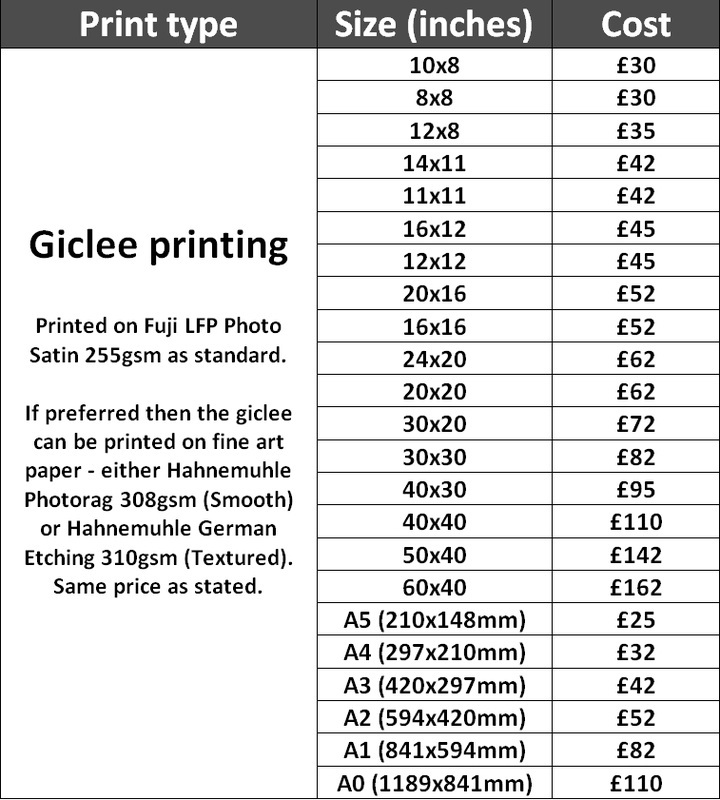 Most of my clients prefer C-type prints. 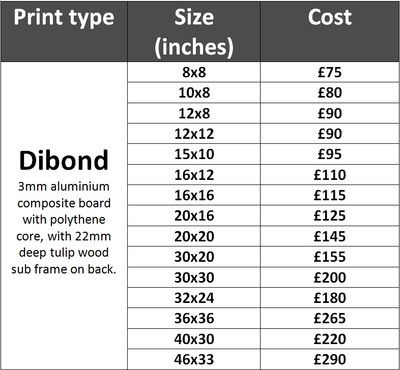 I also receive requests for giclee, canvas, acrylic and aluminium mounting (dibond). 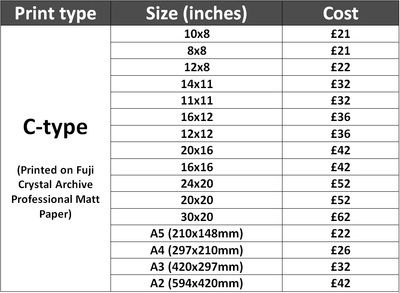 Below is a price list for the most common sizes for all five of these print types. 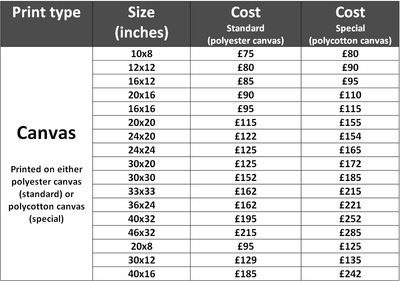 Once you've decided what size and type of print you would like you can contact me via this form. N.B. Perspex (diasec) image mounting is also available upon request. Framing options are also available. 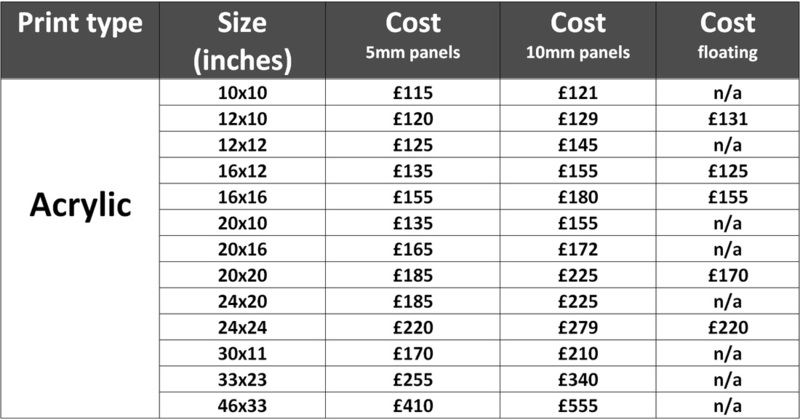 As most clients prefer to get this done themselves after receiving the image, and as there are a number of options available, I have left out a price list. If you are also interested in framing options please mention that when filling in the form below. Please include the URLs of the photos you would like printed here, along with any additional information. 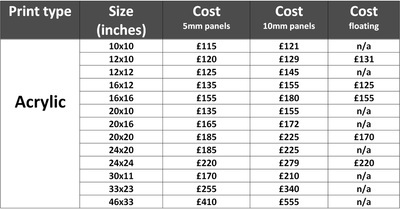 Sizes: In the form's drop-down box I have not included every size range available, as not all print types are available in every size. 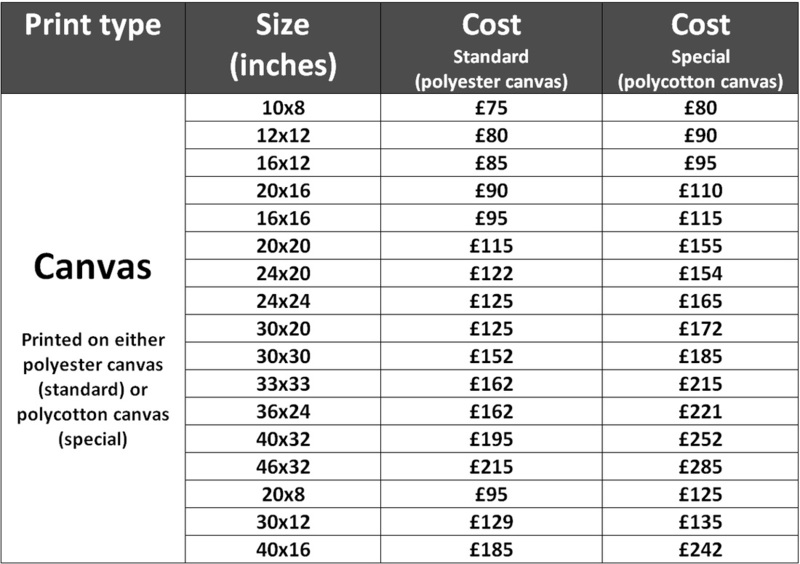 So if your preferred size isn't available then simply select 'Other' and state the size required in the additional information box. After submitting the form I will get back to you within 24 hours to answer any questions you have. I will then send you an invoice. Payment: At present I only accept bank transfers. Once payment has been received I will need your address. 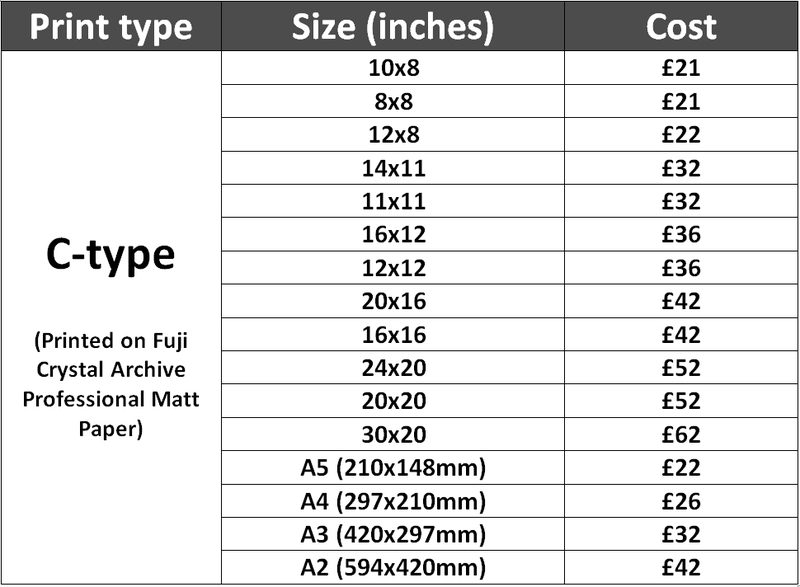 Delivery: All listed prices include free Royal Mail recorded delivery to UK addresses. Delivery outside the UK will be charged at cost price (i.e. with no profit) and must be signed/recorded delivery. 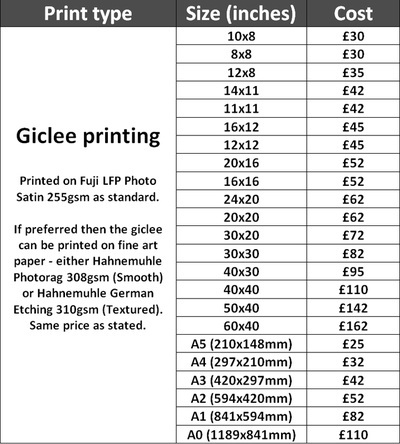 You will receive the prints within 7 working days from purchase.